The Journal of Ord: The Goldenwealth Emerges! After many lost hours of sleep, copious cups of "tea, Earl Grey, hot" (ten points for the reference! 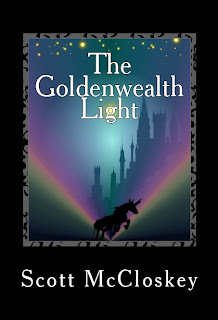 ), three complete cover redesigns, and more edits/proofreads than I care to recall, The Goldenwealth Light is nearly ready to debut on Amazon.com! Be among the first to read and rate a complete preview of the first two chapters HERE! 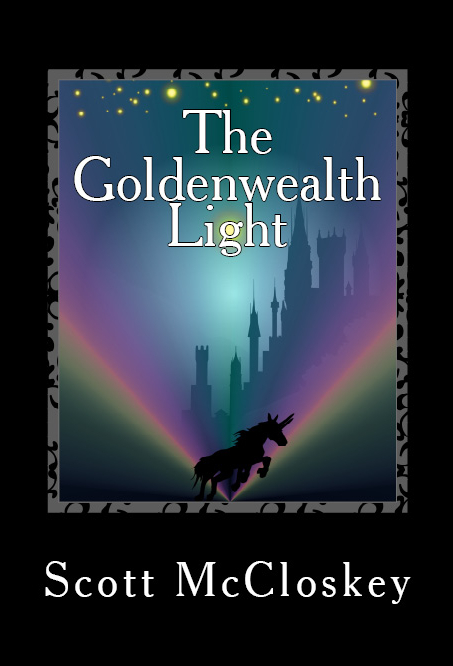 The Goldenwealth Light is the first book in the Traveler of Ord Saga, which chronicles the escapades of junior high student Theodore Nathan Ellsworth, the Traveler of Ord, as he adventures through the mystical Goldenwealth Light of Quaylund (pronounced KAY-lund). Part high fantasy, part deadly intrigue, Book I seeks to establish the mood for the rest of the series. Unique fantasy races are set against a backdrop of a world that takes peace for granted, with hints of the tumultuous upheaval that is to come. The Traveler of Ord Saga is a fantasy story for all ages from preteen to adult, with a myriad cast of colorful characters to enjoy. But what's the best part of all? You are! chance to make a difference. When you’ve finished reading The Goldenwealth Light, come and find the Traveler of Ord saga at OrdOnline (this blog), Facebook, Twitter, or your favorite social networking site. Who was your favorite character? What was your favorite part? What do you wish/hope will happen next? Come and share your thoughts with a growing community of readers, and you might just have a say in some of the content for the next book! Your opinion counts! Check back for a confirmed release date for the paperback and kindle versions, coming soon! I'm glad you like it. Feedback about a book's cover is just as important as its content, if you ask me! Yes, cover is really important. You just gave me the idea for my new post. I will upload it in the day if you want to read it. :)I will announce it to twitter too. Sure, I'd love to see it. What's your Twitter? My twitter name is @Athina_DK I have it and on my blog too. Follow me if you like and I will follow back. :) BTW I uploaded my post. Followed you and commented on your post. Nice points, I think you've given me some ideas too!